We don’t normally have to consciously think about balance control. It’s an automatic function. Most people don’t find it difficult to walk across a gravel driveway or get out of bed in the middle of the night without stumbling. However, with impaired balance such activities can be extremely fatiguing and sometimes dangerous. Balance is the ability to maintain equilibrium against the force of gravity. A properly functioning balance system allows humans to see clearly while moving, determine direction and speed of movement, and maintain posture and stability in various conditions and activities. The vestibular apparatus plays one of the most important roles in the balance system. It constantly measures our body’s position in space, relative to gravity, and is the only organ in the body dedicated exclusively to balance functions. The inner ear, imbedded in the bone behind each ear, actually has two functions: hearing and balance. The vestibular system, is made up of three semicircular canals and the otoliths. The otoliths (Greek for “ear rocks”) are crystals of calcium carbonate attached to hair cells as gravity orientation receptors. When a person’s head rotates, fluid moves in the canals, exciting minute hair cells.Those cells send signals to the brain that tell it in what direction, how fast, and how far the head is moving. The eyes send visual signals to the brain about the body’s position in relation to its surroundings. Our proprioception sensors are in the joints and muscles. They allow us to sense the position and movement of our limbs and tell the brain if you’re standing on solid ground, soft, slippery or uneven surfaces. It explains how we are able to close our eyes and still know what our body is doing. Maintaining balance depends on information received by the brain from the eyes, muscles and joints, and vestibular organs. All these sources send information to the brain in the form of nerve impulses from special nerve endings called sensory receptors. If there is a dysfunction with one of these components it can become difficult to maintain balance. The sensory impulses originating in the neck and ankles are especially important. Proprioceptive cues from the neck indicate the direction in which the head is turned. Many people retain a good sense of balance despite inner ear problems due to the complementary support provided by the eyes, and movement and position detectors in our joints and muscles. Nerve cells in the vestibular system degenerate as we age. Prioproception, muscle and bone strength also decrease, resulting in a feeling of disequilibrium. Simply growing older can bring about changes in your body that could cause imbalance. Sedentary life style, diseases of the eyes (glaucoma and cataracts), side effects of medications, atherosclerosis, and diseases of the bones and muscles, can all cause dizziness, vertigo, and a feeling of imbalance, which could result in a fall. Stenosis (narrowing) of the cervical spine can also cause loss of balance. It’s important to rule out the possibility of a more serious condition, such as stroke or tumor, which can cause balance problems. Benign positional vertigo (BPV) represents a disorder of the vestibular proprioceptive system and is the most common cause of vertigo. BPPV involves intense, brief episodes of dizziness associated with moving the head, often on turning over in bed or sitting up in the morning. It occurs when tiny calcium carbonate crystals (otoconia) break loose and fall into the wrong part of the semicircular canals in the inner ear. This gives a false sensation of spinning (vertigo). The cause of BPPV is not known, but it may be a natural result of aging, and can come with head trauma. 2. Cervical Vertigo may be associated with head or whiplash injury. The cause can be a vascular compression in the neck or abnormal sensory input from neck proprioceptors (nerves that sense movement and vibration). 3. Motion sickness occurs when the central nervous system receives conflicting messages from the eyes, muscles and joints, the inner ears and skin pressure receptors. Some people experience nausea or vomiting when travelling in a boat, car, amusement park ride or airplane. 4. Labyrinthitis is a viral or bacterial infection of the vestibulocochlear nerve in the inner ear. The labyrinth becomes inflamed resulting in symptoms of vertigo, dizziness, disequilibrium, nausea, and hearing changes. The labyrinth sends information to the brain in regard to the position of your head. The disturbance in the inner ear can lead to distorted information being sent to the brain. The onset of symptoms is usually very sudden and may last several weeks. 5. Ototoxicity is a balance disorder or hearing loss caused by certain medications (antibiotics, aspirin, diuretics) that can damage the inner ear. Many environmental chemicals such as mercury, lead, and carbon monoxide have been linked to balance problems. Symptoms range from a feeling of imbalance, tinnitus, and complete hearing loss. The damage is usually irreversible but vestibular rehabilitation can be helpful. Hair Mineral Analysis, available through E-med, is a non-invasive test to identify over-exposure to toxic metals. 6. Vestibular Migraine can cause vertigo that can last from a few minutes to days. Attacks may be triggered by quick head turns, being in a crowded or confusing place, driving, riding or even watching movement on TV. Vestibular migraine may also cause unsteadiness, hearing loss, and ringing in the ears (tinnitus). 7. Meniere’s Disease is a balance disorder caused by large amounts of fluid collecting in the inner ear. Usually, only one ear is affected. The cause of Meniere’s disease is unknown. The disease is usually characterized by attacks of vertigo (spinning) that can last form a few minutes to hours. Hearing loss and head noise (tinnitus), violent spinning, whirling, and falling associated with nausea and vomiting are common symptoms. Sensations of pressure and fullness in the ear or head are usually present during the attacks. The person may be very tired for several hours after the overt spinning stops. Meniere’s disease has also been linked to migraine. Often triggers will precipitate an attack, such as certain foods, changes in pressure, fatigue, anxiety, or other illnesses. 8. Perilymph Fistula is an abnormal opening between the inner ear and middle ear, causing leakage of fluid. It can occur after head injury, surgery, drastic changes in atmospheric pressure (such as when scuba diving), chronic ear infection, physical exertion, or without a known cause. Its most notable symptom, besides dizziness and nausea, is unsteadiness when walking or standing that increases with activity and decreases with rest. Some babies may be born with perilymph fistula, usually in association with hearing loss that is present at birth. Almost any type of physical activity improves your ability to balance. Regular exercise improves your sense of equilibrium, the strength of your stabilising muscles, and general coordination. Always start with a warm-up: roll your shoulders for a minute or so to loosen them up. Keep your head still and move your eyes to the ceiling, then down to the floor. Keep your head still and move your eyes right and left. Focus on your index finger as you bring it from arm’s-length away up to your nose, then out again. Gently move your head up and down, as if looking down at your feet and then looking up at the sky. Gently move your head to the left, to the right, and then to the left again, as if crossing the road. With your hands on the fronts of your thighs, bend your body forward until your hands come to your knees or just beyond, then come back up again. Close your eyes and rise up on the tips of the toes. Be sure to stand near some means of support. Stand on your left leg and flex the right leg slightly until it is off the ground, keep the eyes closed during this exercise. Then, repeat the same movement standing on the right leg. Make sure there is a sturdy means of support nearby. Try to do these exercises up to five times each with your eyes open, and then, when you feel more confident, try with your eyes closed as well . Balance retraining, or vestibular rehabilitation, is a remedial approach using exercise to improve balance. 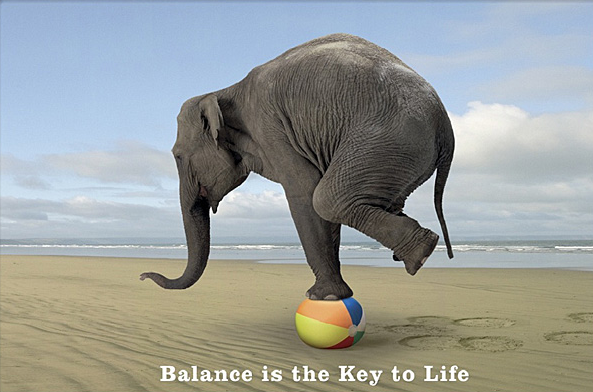 Balance retraining is designed to help the central nervous system compensate for loss of balance due to a vestibular disorder. Avoid foods and beverages that have a high sugar or salt content. Limit or eliminate alcohol consumption. Stop smoking! Nicotine decreases the blood supply to the inner ear by constricting blood vessels and can increase symptoms of imbalance. Avoid foods and beverages with caffeine. Caffeine is a stimulant that can make tinnitus louder. Its diuretic properties also cause excessive urinary loss of body fluids. Avoid migraine triggers (e.g. foods containing tyramine – liver, red wine, chocolate, ripened cheeses, smoked meats, bananas). Pay attention to other substances that can adversely affect the inner ear and increase symptoms of vestibular disorders – Antacids may have significant amounts of sodium, Nonsteroidal anti-inflammatory drugs (NSAIDs), such as ibuprofen, can cause water retention or electrolyte imbalance, and Aspirin can increase tinnitus. Get your vision and hearing checked regularly! Studies have shown that Ginger helps reduce motion sickness and its associated vertigo. Vitamin C, vitamin E, lipoic acid, and glutathione are among the most important antioxidants that have a beneficial effect on patients with Miniere’s disease, ototoxicity and other balance problems. Vertigo induced by vestibular receptor impairment can be reduced by Ginkgo biloba extract (3). 3.Orendorz-Fraczkowska K, Pospiech l, Gawron W. Results of combined treatment for vestibular receptor impairment with physical therapy and Gingko biloba extract (EGb 761). Otolaryngol Pol 2002;56(1):83-8.